"Yes,” the new album from Triumphant, is sure to please fans and new listeners alike. 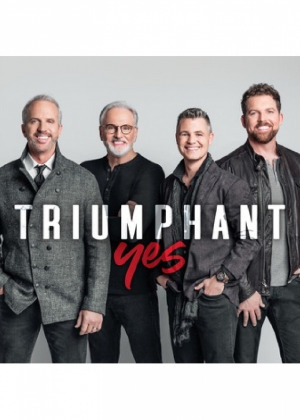 As the follow-up project to the highly-successful “Thankful” CD, “Yes” is packed with the quartet sound that Triumphant is known for. This nine-time Singing News Magazine Quartet of the Year teamed up to make this album with two of today’s most respected Southern Gospel producers, Wayne Haun and Gordon Mote.